Shabia defied death when she was a 21 day baby. The doctors said if she survives she would go mad. Survive she did and ever since, her madness to change her destiny and that of others is impalpable. She started working very early in life, since her father separated from her family when she was about 10 years old. She and her mother gave tuitions to about 80 kids every day. Despite the lack of time, she topped her school results every year by always being in the top three. Shabia always wanted more from life. While people handle one career, Shabia manages three. 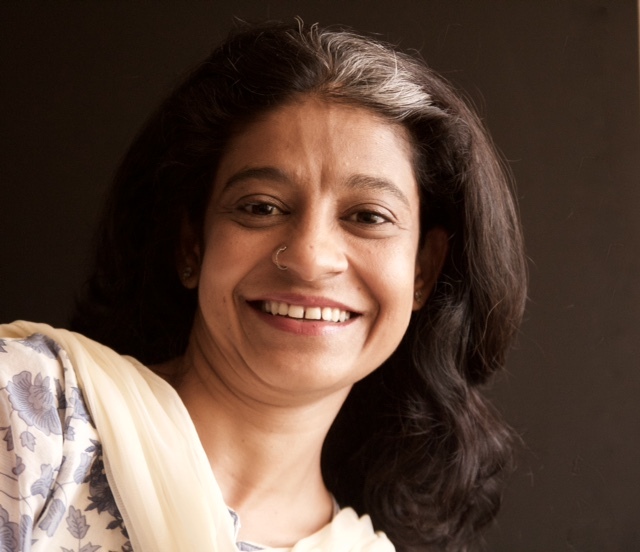 A successful media professional for 24 years, she grew from being an assiatnt director to Siddharth Kak and then learnt on her way up to become a creative director, writer, director, producer and everything else that one could be in media. She has worked with several channels as consultant and is considered one of the best in her field. She even jotted her experiences of pregnancy and has authored the best-selling book ‘Mamma Mania’. When media failed to challenge her creative abilities anymore, She founded the very successful natural skin care brand called ‘Wild Earth’. Despite no business background or funding from any sources, Shabia has managed to take her brand global in a matter of just two and a half years. Starting with a 1000 rupees and using her kitchen as her manufacturing unit, Shabia self learnt and started creating amazing soaps, body butters, shampoos, lip balms which then by word of mouth publicity grew to the brand it is today. Today Wild Earth exports to Phillipines, London, Canada and Dubai and is also a well established brand in India. Till today, shabia manages her brand with a lean team and is the ceo, publicist, brand manager, accountant, and everything else, all rolled into one whilst being a very, very hands on mother to her 8 year old daughter. Shabia is the winner of ‘Top 50 Rising Stars Award’ by “We are the city”, UK. She also won the ‘Women of Worth’ award in 2016 besides the ‘Pink Power initiative by Inorbit malls for entrepreneurs. In 2017 she won the ‘Digital Women Achievers Award and the ‘Rex Karmveer Chakra, Silver’ for her outstanding work in Beed and with the ‘Save Saba’ campaign. She has also been selected for the Top 50 Icici Fund Your Worth Award to be held in Feb 2018.